Most teaching on the love of God is all about how we should love others. While that is certainly appropriate and needed, we often fail to emphasize how much God loves us. We can't give what we haven't received. Before we can love others, we have to have a true revelation of God's love for us. This series will help you receive a deeper revelation of God's unconditional love for you. 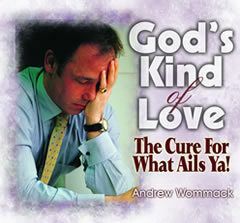 Most Christians have a disease which can be fatal if not treated. It is spread through close contact with religion and is highly contagious. This disease makes the individual see everything backwards. Instead of God's love compelling them to live holy, they think living holy will cause God to love them. This causes chronic fatigue and frustration from trying to give what they haven't received. Discover the joy of knowing we are already loved by God. God's love for us is infinitely superior to any love we could ever express to each other. But we often proclaim a higher standard for ourselves than what we believe God lives up to. We say, "you're worse than an infidel if you don't provide for your family" (1 Tim. 5:8), yet we aren't sure God will provide for us. God's love is unconditional and not an emotional response to something we have done. Therefore, what we do doesn't cause God to love us more or less. God loves us because He is love, not because we are lovely. There is a difference between knowing about the love of God and actually experiencing it. An experiential knowledge of God's love will fill us with all the fullness of God (Eph. 3:19). 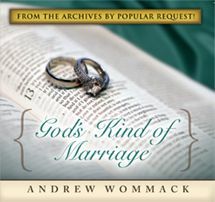 Andrew shares practical insight into how to abide in this fullness of God.